The center’s goal is to provide instruction and guidance on how to achieve successful outcomes in all aspects of living. This center is created to help all who come, especially young women and men (young in heart and mind), enhance their minds and bodies for all current and future endeavors. The center will consist of three buildings nestled on six acres of land among beautiful gardens, pathways, and natural habitat to promote an Eco-friendly and sustainable environment. The buildings include an auratorium, yoga exercise studio with demonstration kitchen, and a wellness center. The entire property, including furniture will be eco-friendly and self sustainable. Plans even include reclaiming and recycling rainwater for irrigation. Environmental features will include: flower and butterfly gardens to beautify and attract butterflies, bees, ladybugs, and birds. Organic vegetable and herb gardens, a greenhouse and aquaponics system for cultivation of fish and crop. Recycling and compost. Nature paths, areas of free play for children, areas for free expression, peaceful reflection and meditation. 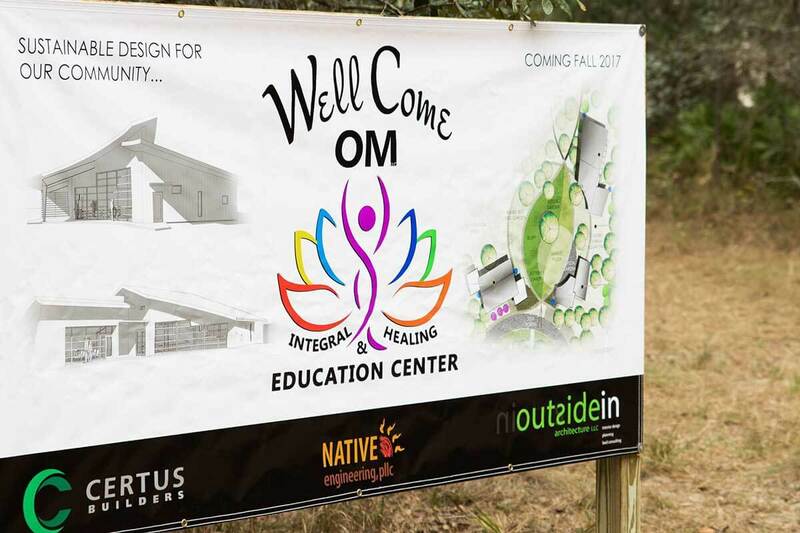 “The center is a unique entity that blends the skills of several beautiful individuals from varied training and expertise on a quest to simultaneously practice their treasured life skills and celebrate -in collaboration- a journey to ultimate wellness in all its facets,” said Maria Scunziano-Singh MD. 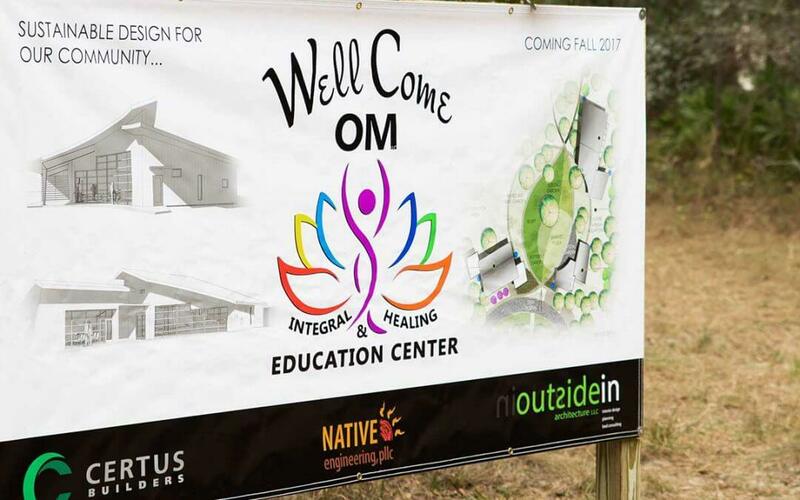 “Whether you seek the help of a medical doctor with naturopathic background, an acupuncturist, master herbalist, yoga instructor, cooking instructor, life coach, counselor, reiki or massage therapist, the WellCome OM Integral Healing & Education Center will be the source for you to receive such services, she added. Future news releases will update media and the community on the center’s progress and further discuss benefits and community involvement. 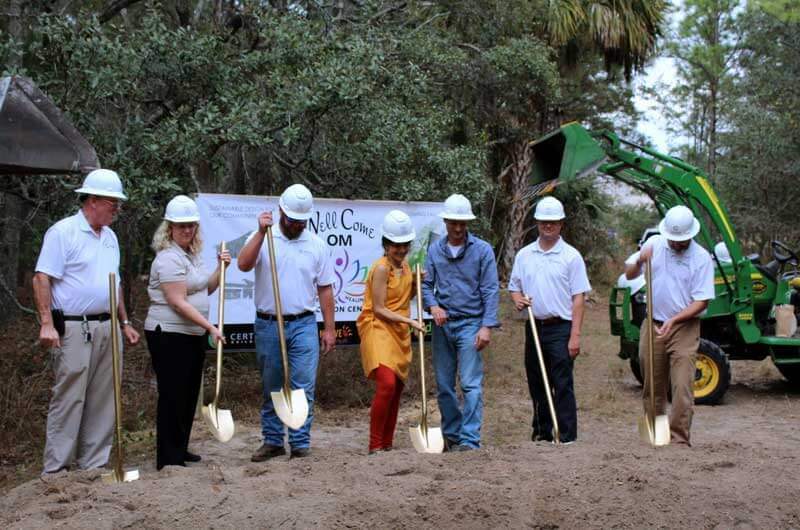 Dr. Maria and members of the construction team break ground on WellCome Om Center. 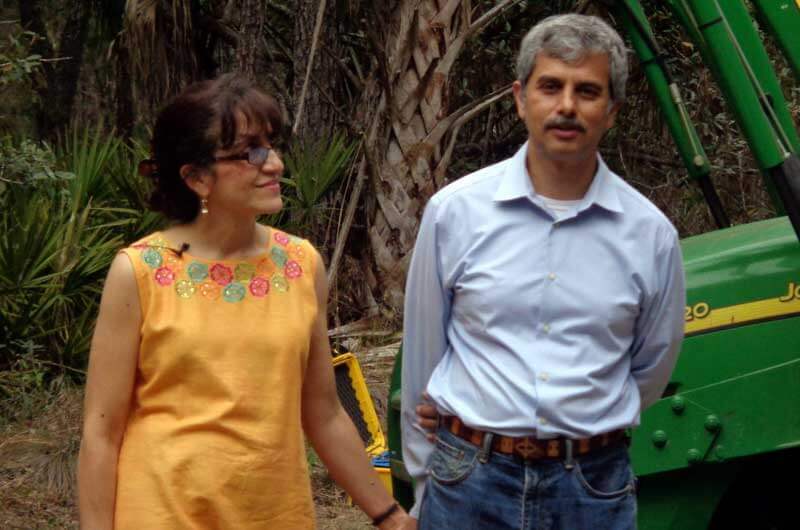 Dr. Maria Scunziano-Singh and Dr. Pariksith Singh look on during the festivities.